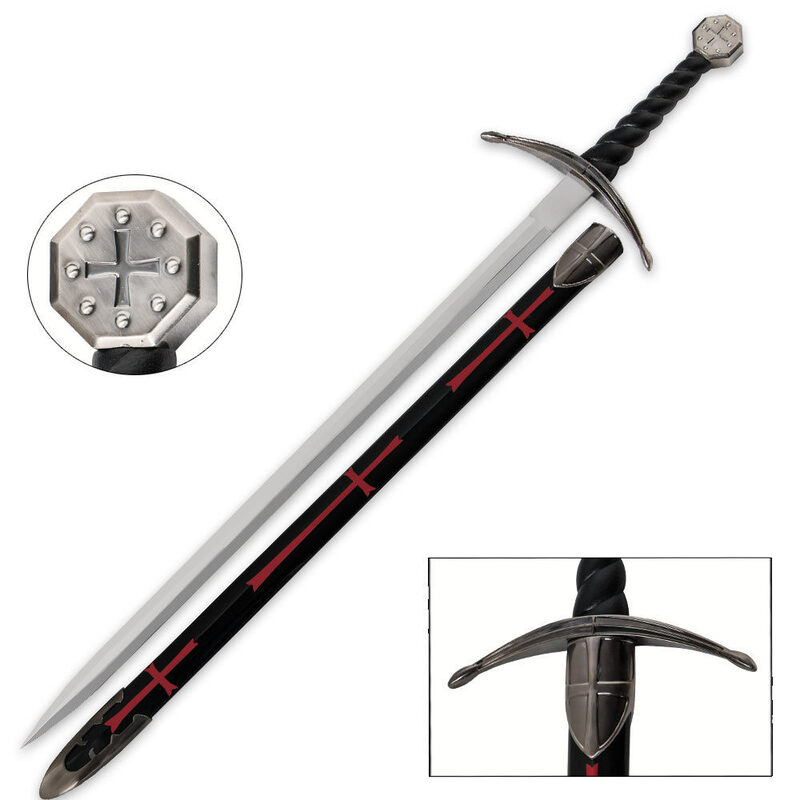 Collectors will love this historically inspired Knight's Templar sword. This majestic work of art boasts a hefty stainless steel blade with a handsome finish. An oversized guard and leather handle grip add authenticity to this historic design. A coordinating scabbard houses the blade and features artistic cross designs that add a medieval look to this piece. A shield-shaped cross emblem completes the scabbard. Measures 39 inches in scabbard. Not too bad for the money. It looks like something out of Kingdom of Heaven. Really love the sword. I've owned one for 2 years now and it's perfect for heading to the Ren fair! Light weight, cool looking handle, cool looking scabbard! For the money, you won't get a nicer show sword. It's more of a toy than a sword. The sheath feels like plastic, the blade has "440 Stainless Steel" stamped on it, and the whole product has a cheap feel to it. I wouldn't recommend it to anyone. Save your money for something else.